It wasn’t enough that First Lady Michelle Obama wanted to redesign public school cafeteria food—a plan which caused a massive drop in cafeteria consumption across the nation—she is now prompting parents to change their communication style to get in line with the “short and sweet” communication patterns of their teenagers. 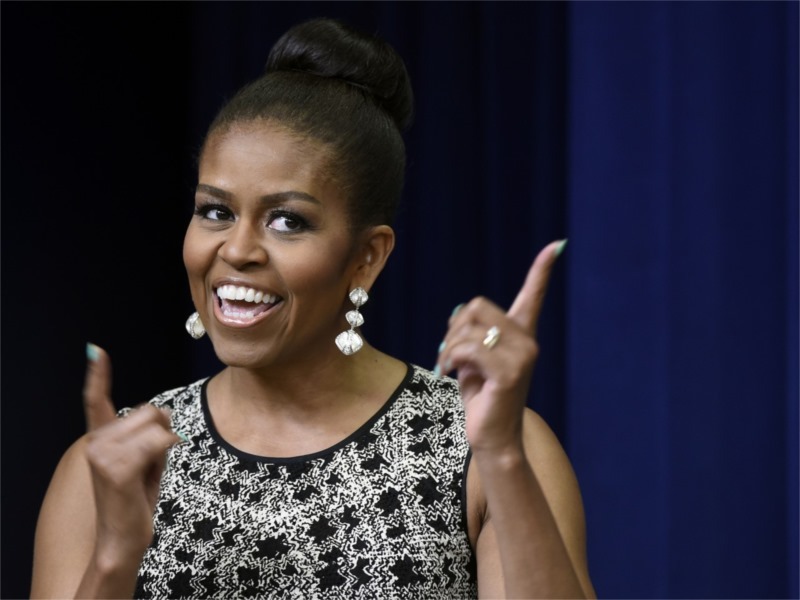 Ironically, Michelle Obama offered these morsels of wisdom while rolling out a new initiative aimed at encouraging America’s kids to value higher education. As much as this article might seem like some satirical exaggeration from my natural bias against Mrs. Obama, it is sadly a word-for-word portrayal of her actual words at the White House. Let’s keep this in perspective; other first ladies set values and standards for their children, and by extension the children of the nation, not based on current trends, but on heartfelt values. Sadly, Mrs. Obama, on the other hand, tried to equate how all kids react based on her own experience with her teenage daughters. She wants us to believe that kids “want content that’s authentic and raw — nothing polished, nothing packaged.” What a wonderful example to send the leaders of tomorrow off to college with. Kids are going to do what kids are going to do; we can’t change that; yet they expect parents to define rules that they can always fall back on. It’s difficult enough to teach children how to speak properly, write correctly and act appropriately without the first lady of the nation telling us to go with the flow. We try to instill the values we learned from our parents while Michelle Obama would prefer we just adapt to the speed and casualness of social media. Mrs. Obama says teens would rather text than have a conversation, but nothing good comes from parents removing two-way communication from their parental duties and some conversations demand actual talk. If Michelle Obama has her way, the concept of a heart-to-heart will join punctuation on the list of outdated notions. 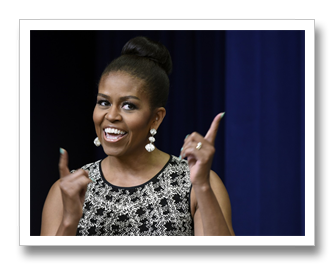 Mrs. Obama’s campaign calls on teens to use social media sites such as Vine, a partner in the initiative, as well as Twitter and Instagram to show off the accomplishments of their peers. Though Michelle Obama doesn’t even understand how many of these social sites work, or the value of using them to our children, she doesn’t mind pushing it out to the parents of America as gospel.